I was growing tired of manually checking those last two for every change and thought “there must be a way to automate these checks, right?” Well turns out for Twitter I found a Card Validator website and Facebook’s have their URL Debugger. 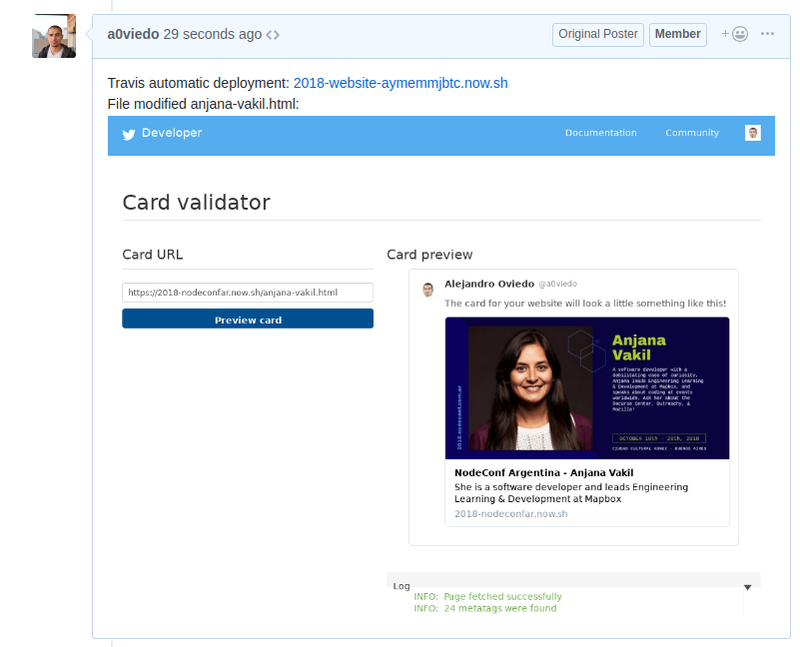 This is how I managed to use Puppeteer to browse Twitter’s Card Validator, take a screenshot, upload it to Imgur and paste it as comment on a pull request. I already had in place the configuration for TravisCI to run a build and deploy for every PR. 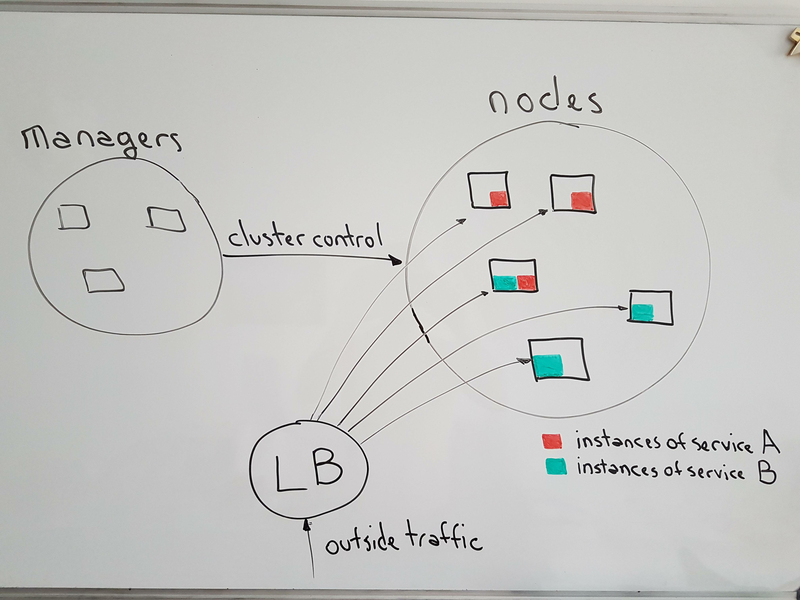 If you want to know details on how I configured it you can read more on Running Lighthouse for every PR with Travis CI. I was using Surge.sh to run deployments, but with Surge.sh’s subdomains a specific robots.txt will be overwritten and it won’t work for the card validator. I switched to now, using public deployments turned out to be very straightforward. For the screenshot to display correctly I needed to wait for an iframe on the page to load. But it’s far from perfect because I couldn’t find a consistent solution without additionally waiting for an arbitrary amount of milliseconds. The whole file is under 70 lines of code, you can check it out here. To complete step n° 3 I used Imgur and a handy bash script I found. You can specify your client ID by adding the IMGUR_CLIENT_ID environment variable to your CI builds. It would be useful to have the social card check for Facebook too, but they upload images asynchronously making the crawling by Puppeteer more tedious. At this point I will say that Puppeteer is a very powerful tool, but I also think there a few bits to be improved like the API for asynchronous events. Even after waiting for different events fired on a dynamically-inserted iframe, I had to add an arbitrary timer for the changes to be rendered. And by the way, you shouldn’t really impersonate your Twitter session for anything serious. Just create a user for your automation. Have you used Puppeteer in your CI flow? Let me know in the comments!